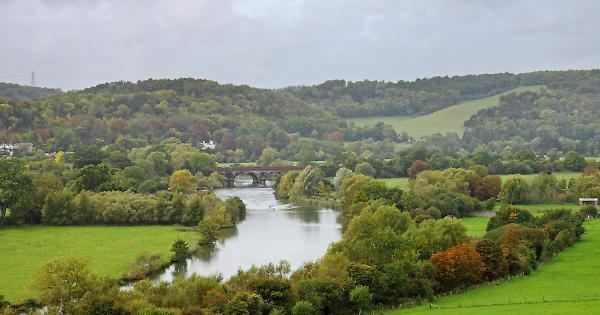 West Berkshire is semi-rural in character, with most of the population living in the wooded Kennet valley. Apart from Newbury, the other main centres in the district include Thatcham, Hungerford, Pangbourne and Lambourn. 30% of the population resides in the East of the district, which is centred around Tilehurst and Calcot. Larger villages include Theale, Purley-on-Thames, Burghfield, Mortimer and Hermitage. West Berkshire borders Hampshire to the south, Wiltshire to the west, Oxfordshire to the north and both the Reading and Wokingham authorities to the east. Around three-quarters of the land is designated North Wessex DownsArea of Outstanding Natural Beauty, ranging from the Berkshire Downs to the Thames Valley.